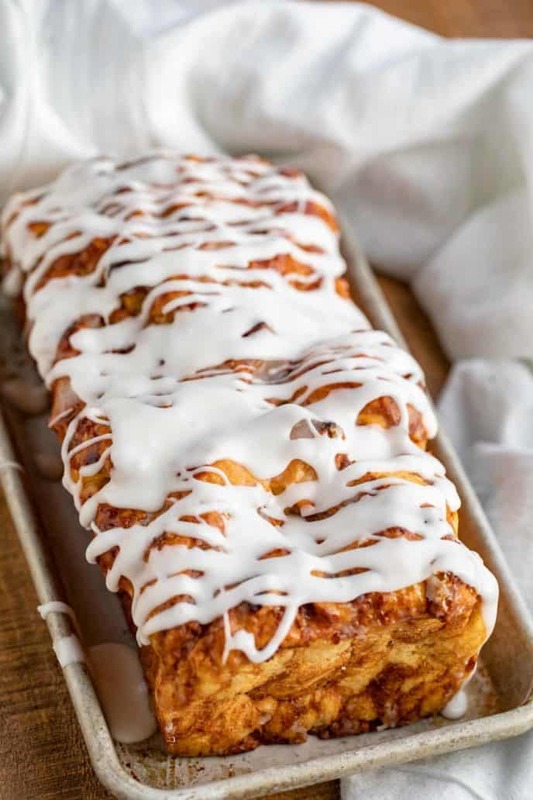 Apple Fritter Bread is soft and sweet, filled with apples, cinnamon, and brown sugar, baked in 60 minutes then drizzled with glaze. 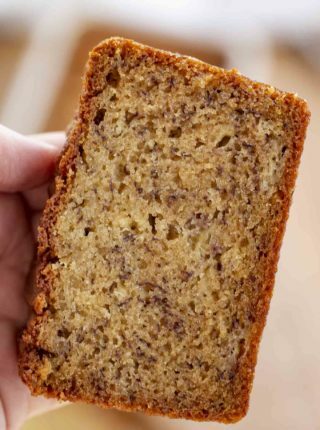 We always have desserts baking in our kitchen, and right now we’re working on Easy Banana Bread (No Mixer! ), Banana Nut Bread, and Vanilla Pound Cake! 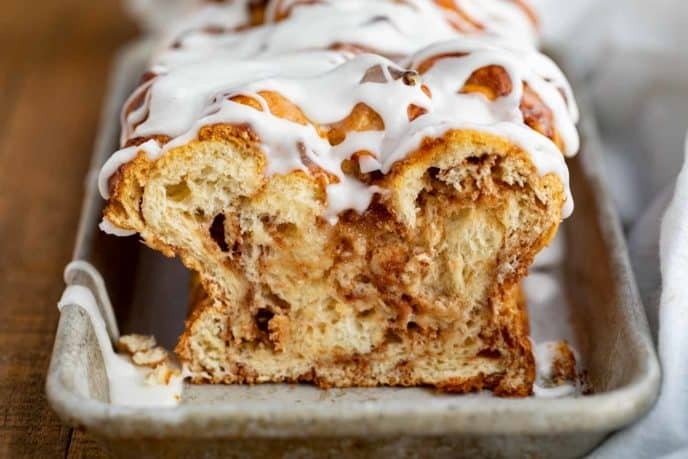 Apple Fritter Bread is a sweet old-fashioned dessert bread that’s stuffed with an apple mixture made out of apples and cinnamon, then drizzled with a powdered sugar glaze. 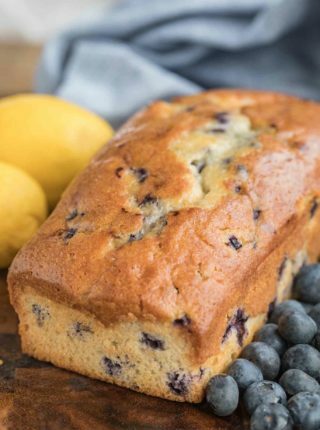 This is the perfect recipe to make ahead and take as a snack or quick breakfast, or serve as dessert. 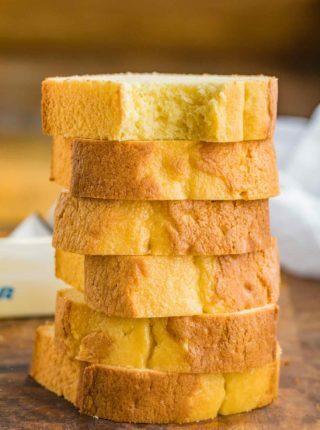 This bread takes a total time of about 75-80 minutes to make, but trust me it’s worth the wait! HOW DO YOU STORE APPLE FRITTER bread? 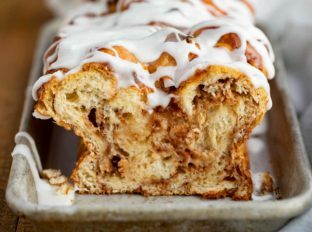 You can store apple fritter bread on the counter for a day or two, but after that I would refrigerate it, wrapped tightly in an airtight container. HOW LONG DOES APPLE FRITTER bread LAST? This loaf will last for about a week, in an airtight container. WHAT APPLES ARE BEST FOR APPLE bread? I recommend using a sweet apple with a little bit of tartness, like granny smith, honeycrisp, or jonathans. I also like to peel the skin on the apples before baking with them, then toss in a tablespoon of lemon juice to keep them from turning brown. CAN YOU FREEZE APPLE FRITTER bread? Apple fritter bread is perfect for making ahead and freezing. Let your bread cool completely, then wrap it tightly in plastic wrap, then tinfoil. You can also cut the loaf into serving sizes, then wrap each piece individually to grab-and-go for a quick breakfast. Instead of glaze, top this loaf with my caramel sauce for salted caramel apple fritters! Add nuts in the batter, and on top of the bread to add some extra crunchy texture. Try almonds, pecans, or walnuts with this recipe. Make sure to measure your all-purpose flour exactly, as this will affect the texture of the bread. Make sure to put the bread in a preheated oven, or it may not cook right. Replace the 1/2 cup milk with buttermilk, as the acid and the fat in the buttermilk work with the flour to create a much softer texture. Serve this warm with a scoop of my vanilla ice cream or easy whipped cream! Use this recipe in a muffin tin for apple fritter muffins. If you’re doing this, reduce the cooking time to 20-25 minutes. Add flavor with a teaspoon of apple pie spice or 1/4 teaspoon of ginger to the apple mixture. Replace the glaze with cream cheese frosting, adding a little bit of milk to make it more pourable if desired. Replace the butter with applesauce to lighten this recipe up. Insert a toothpick into the middle of the bread, if it comes out clean the bread is done baking. We’re topping this mixture with brown sugar, but you can make a sugar mixture out of brown sugar, cinnamon, butter, and pecans for a crunchy streusel topping. 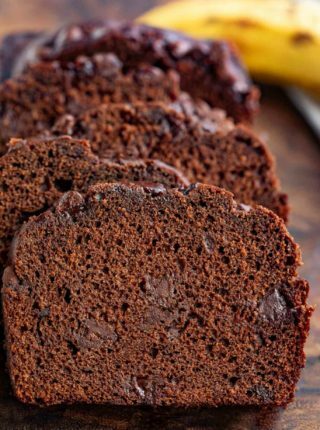 This recipe tops the bread with brown sugar, but you can cut the granulated sugar in half and replace it with half brown sugar to give the bread a deeper molasses flavor and moist texture. Preheat oven to 350 degrees and spray a 9x5 loaf pan with baking spray. In your stand mixer cream the butter and sugar together until light and fluffy, about 1 minute on medium speed before adding the vanilla, milk and eggs in one at a time. Add in the flour and baking soda until just combined. Combine your chopped apples with cinnamon and half the brown sugar in a small bowl then pour half the batter into the loaf pan, add in half the apples evenly over the pan, pour in the remaining batter then place the remaining apples over the batter. Once cooled and removed from the loaf pan whisk together the powdered sugar and water and drizzle the mixture over the loaf. I used unsalted butter, but this recipe begs for added salt. I put in extra cinnamon, but it was still quite bland. Really needs a little salt. I made the Apple Fritter Bread. Think I may have overcooked it because I found it dry. I think next time I would add more apples. I did like the flavor. I found an error: The recipe calls for 1/2 cup of milk but the instructions never address what to do with it. I just added it to my mixer because that made the most sense, but thought I would let you know about it. Thanks for letting me know. I am so sorry it was left out when you made it. You didn’t say when to add the milk or buttermilk. Thanks for catching that. I’ve edited to show in the recipe card. Am I blind? You don’t mention milk in the directions but it’s in the ingredients? I’ve corrected it now. Thanks for letting me know. Looks so delightful! I can eat this anytime of the day, so excited to make this! How have I never had this deliciousness before?! I loaf will be mine in the morning!! This bread looks and sounds delicious! Can’t wait to make this recipe! This bread looks daaaaangerous! So yummy! Love Love Love this recipe! Tastes OK – does not come close to looking like the picture. It is as dark in color as a molasses bread and all of the apples sunk to the bottom. I am so sorry! You’ll want to add the milk in with the vanilla and the eggs. Thank you so much for letting me know it was missing. Hi Sabrina, I was making this recipe this morning and noticed that you don’t include when to add the milk? I added it when I put the flour and baking soda in, is that correct? I’m hoping I added it at the right time and it comes out okay. The consistency seemed good, so I’m pretty sure I’m I did the right thing, but could you confirm when to add the milk. Thanks! Sorry about that, I definitely should’ve had more coffee before posting. For next time, please add the milk in with the vanilla and eggs. Humm Just tried to make this recipe and discovered that no where does it say to add the milk. Added it with the eggs. Will see how it works out. So sorry about that. You should add the milk with the vanilla and egg. Thanks for letting me know. I made this but was unsure since the directions do not say where to put the MILK. I naturally assumed it needed to go into the batter.